Description: Commercial / Industrial Lot with Building. Currently use as a factory. Along the main road! Accessible. For sale with lot only prices. All building and structures are BUNOS! For more pictures and further details about the listing in this site contact your website host.. 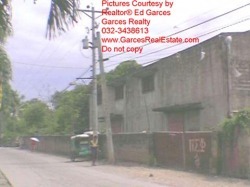 Description: Industrial Property with Building in Mandaude City - For sale at a very low price. It has 2 storey building which can design as a manufaturing plant. The building is not that maintained since it was not operational from the time it was built - a statement from the brother of the owner as qouted. The floor area of the building is more or less 500 sq.m. It has also a bungalow house (pls see pictures above) which was currently occupied by the caretaker. All for sale at one package - a package price for the "lot only". Building and the house is a BUNOS. Its just 1.5km away from the Mandaue flyover and is just 20 minutes to international seaport and 25minutres going to the International airport. It has the potential of expanding at the back side with an additional 2hectares of undevelop property which is said to be for sale (50% off the price since it has no road access. The location is wise for investment and or for business operation such as plant or whatever. In the vicinity of the area lies many manufacturing plant mostly a furniture plant for export. See to appreciate. The property itself look dumps but when you check the access and the details, it pays off the hassle in investigating! Terrain is flat! Price are 40% off the actual valuation! Terms: Spot cash or depending on offers! For more pictures and further details about the listing in this site contact your website host. 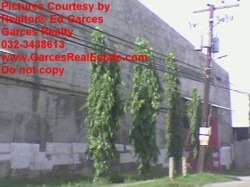 Lot Area : 20700.00 sq. m.